Good news for S/S 2012, everything’s coming up roses (and orchids, and daffodils, and daisies). 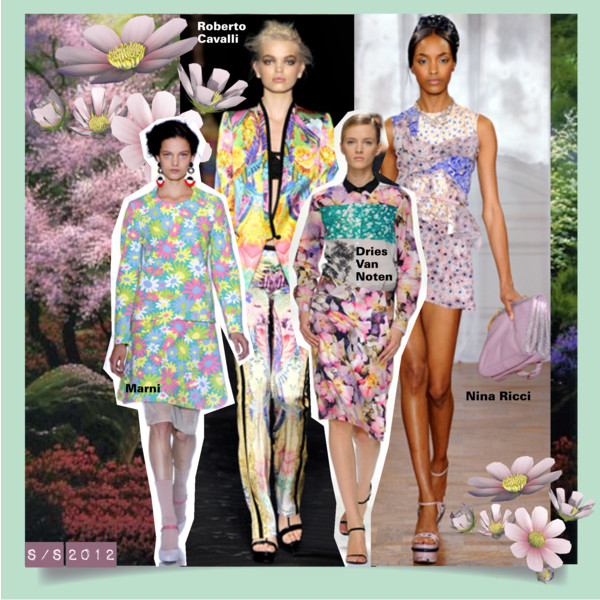 Head to toe floral prints are one of the season’s biggest trends and were seen all over the runways. My all-time favourite Mary Katrantzou who is known for her bold prints and vivid colors, showed this trend in perfection, flowers and print – the perfect combination of her strengths. Her runway was divided by a field of carnations. Please click here for the previous post. 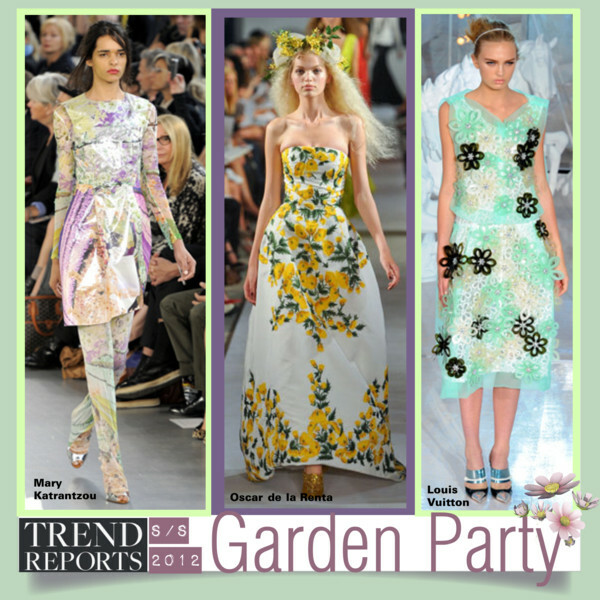 Take a peek at the most fun garden party of the season! Floral prints, extreme edition! The colours range from fabulous bright colours reminiscent of a tropical vacation to soft neutrals and stunning pastels. Lilac and light green are among summer’s favourites. 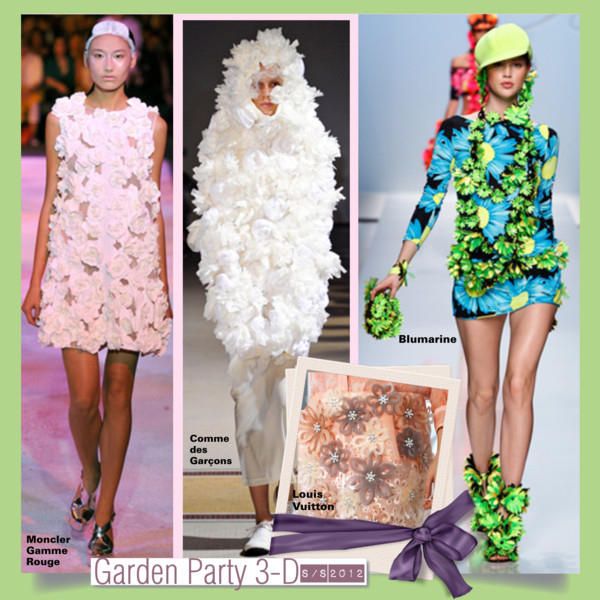 As if the floral prints weren’t enough, the designers went and attached 3-D flowers and embellishments to the fabrics. A season’s must! Best collection: Louis Vuitton! I’m betting it won’t be long before a style icon like Alexa Chung is spotted in this cool Chloé or Prada outfit! If you didn’t think you could wear a head to toe look printed with multi-coloured florals and still look cool, Erdem just proved you totally wrong. 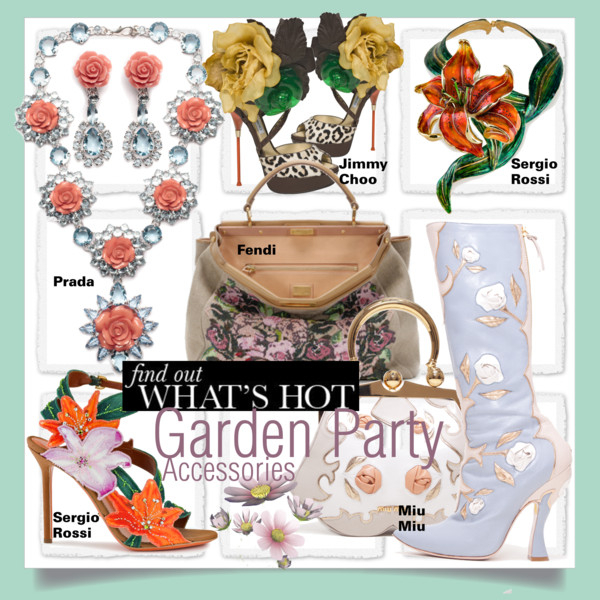 From the necklace, to the shoes, to the bags, to the earrings, this S/S 2012 trend is a complete floral explosion!